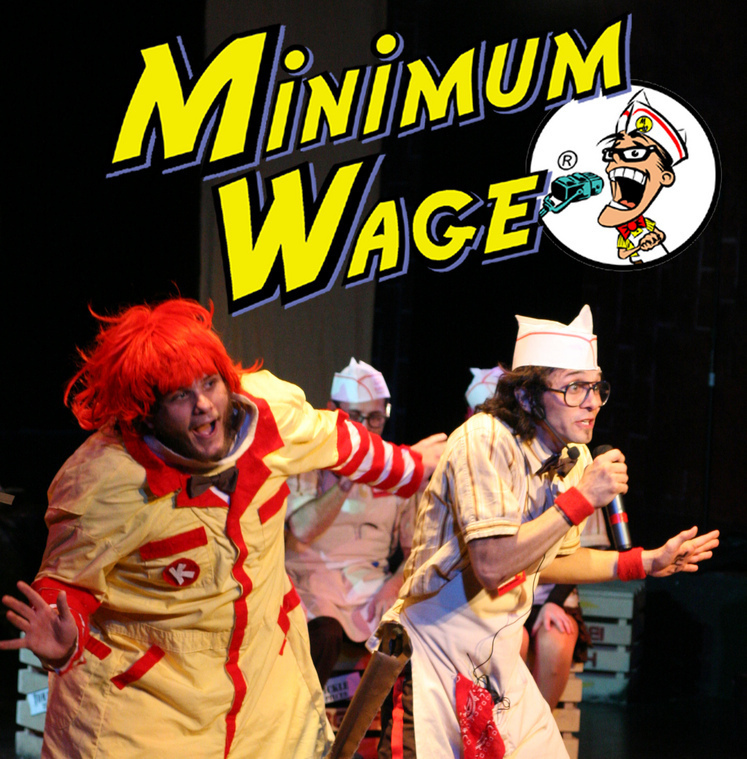 Minimum Wage played Off Broadway at the Theaters at 45 Bleecker Street in New York City in 2007. It won numerous awards including the 2002 Fringe NYC Producer's Award and the 2006 Alumni Production. Other productions of Minimum Wage have played in Dallas, LA and Montreal. The BurgerBoy Acappella Musical !! A hilarious, witty, slightly subversive and delightfully goony musical in which employees of a Big Brother-type fast food chain must initiate the audience into the wonders of hamburgerology. Learn the art of spatulary, discuss the finer points of Post-Mustardism and avoid the pitfalls of bathroom duty. Be on your way to Employee of the Month in this acappella musical, a sort of “Fast Food Nation” as if it were performed by the Marx Brothers and Bobby McFerrin on crack.